My name is Koby Bishop and I am a Division I left handed pitcher entering my senior season at Wagner College in New York City. I first heard of Dustin Pease on twitter as he was advertising his E-guide (Lokation Nation’s Guide to Commanding Locations) about a year ago. I bought the E-guide and finished it within a few days, then reached out to Dustin sharing my thoughts and takeaways. I recently contacted Dustin in hopes to receive one on one lessons to learn more about the command process and the ability to consistently rely on my command week in and week out. He responded quickly and was excited to help me become a more complete pitcher. We arranged a three day period over Christmas break where I would travel to his facility in Fredrick, Maryland before I headed home for winter break in Colorado. Upon my arrival, we scheduled three sessions in three days all focused on improving command. 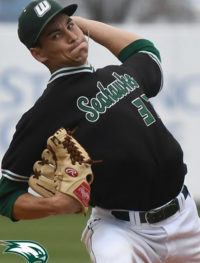 We met before the first session, an assessment day, so Dustin could gauge a better understanding of my goals as a pitcher, what I wanted to gain from the experience, and my previous experiences as a pitcher. This provided Dustin with the information needed to create a three day plan on what needed to be achieved during the time I was at his facility, and what I could take home and work on over Christmas break. Day 1: I arrived at Lokation Nation. 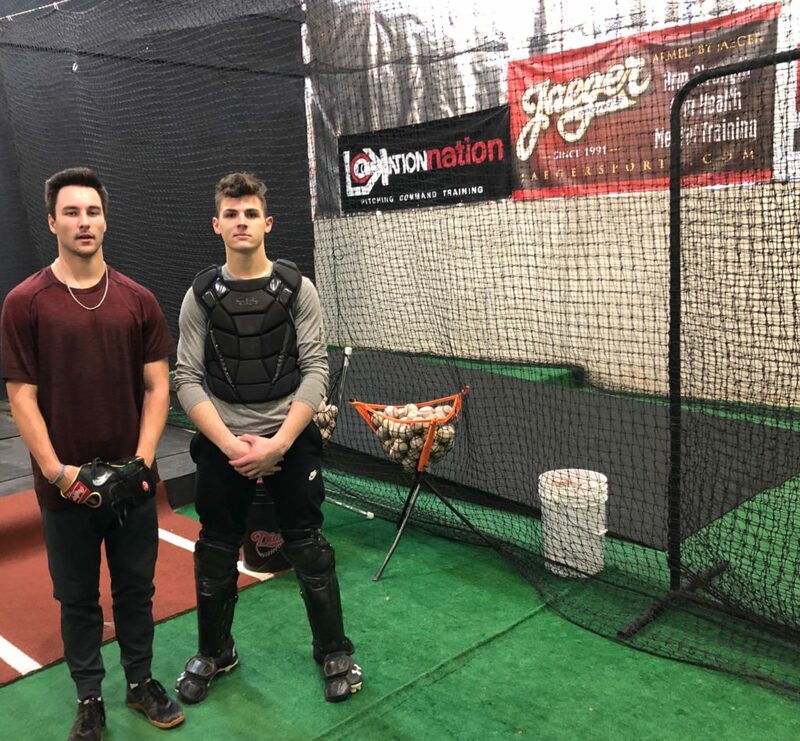 His facility is made up of two full size cages with custom rubber topped mounds in each, a radar gun mounted behind home plate clocking each pitch as a training tool, and a catcher hired out by Dustin. The first day Dustin wanted to see how I moved and what flaws were easily correctable, and which ones needed more attention. The teaching environment was made up of me on the mound each day working on a certain skill, designed with particular constraints. Dustin would stand right next to me evaluating each pitch in his mind and would provide feedback as needed. Dustin wanted to allow me to find a rhythm or “working pace” and ride it for a few minutes uncounting repetitions. He would give me a drill or exercise to allow me to self correct mistakes and find my working pace before providing additional feedback. This in turn was a very useful technique as it helped me feel each movement while making self corrections based on the result; It allowed me to learn on each repetition. The first day, the main drills we focused on was fastball command of each side of the plate. Day 2: We built on day one and implemented off speed pitches but mostly focused still on fastball command. Dustin preached working at a 60-70% effort level to allow myself to throw as many pitches as I could for three consecutive days. It provided less stress on my arm and allowed me to work through soreness from the previous day, something I’d never been introduced to before. The second day we added more constraints in terms of locating down and in to a right handed batter as opposed to just in or out. Day 3: On the final day I was at the training facility, we had advanced to Dustin standing in as a hitter and keeping count of pitches executed. We kept track of the success rate. The goal was to improve each round of the drill and to make self corrections as if it was a real game. Throughout the drill I threw every pitch in my arsenal with the added pressures of a hitter in the box. Dustin’s standards were high, and they heightened mine as well. While I felt challenged by the directions each day, I gained a better understanding of what I truly desired from myself. Overall, my experience working with Dustin was extremely beneficial. 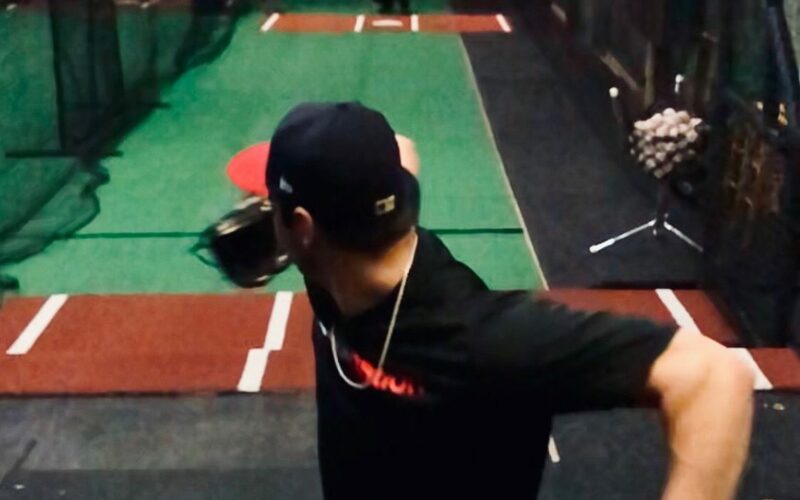 It allowed me to work on subconsciously and assertively making corrections in my delivery based on each pitch’s outcome, gave me drills in which I can train command each and every practice, and trained my mental approach to have a more command focused mindset each time I toe the rubber, or pick up a ball to play catch. Dustin is a great guy to work with as he brings a lot of excitement and knowledge to each and every lesson. He loves the game of baseball and it shows in how he teaches and approaches each session. 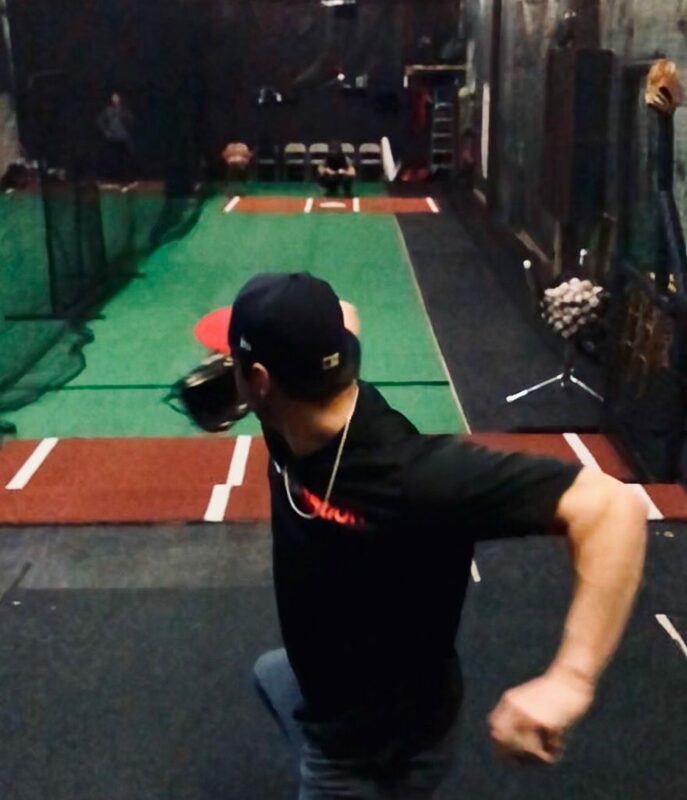 I highly recommend reaching out to Dustin at Lokation Nation if you are wanting to increase your command and become a more complete pitcher.